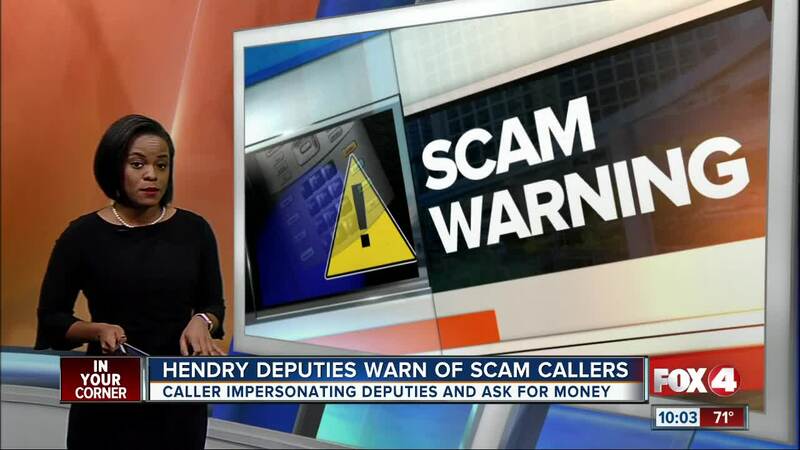 HENDRY COUNTY, Fla. — Hendry County Sheriff's office has a scam warning for the public. Deputies said they're getting reports of people getting phone calls from a number identified as the Hendry County Sheriff's Office on their caller ID, but deputies say it's not them. They said the caller is identifying himself as either Sergeant Mike Taylor or Clifton Green, and telling people they have warrants out for their arrest. The scammers are also and asking for payment over the phone. The sheriff's office wants to remind the public they will never call you asking for money.